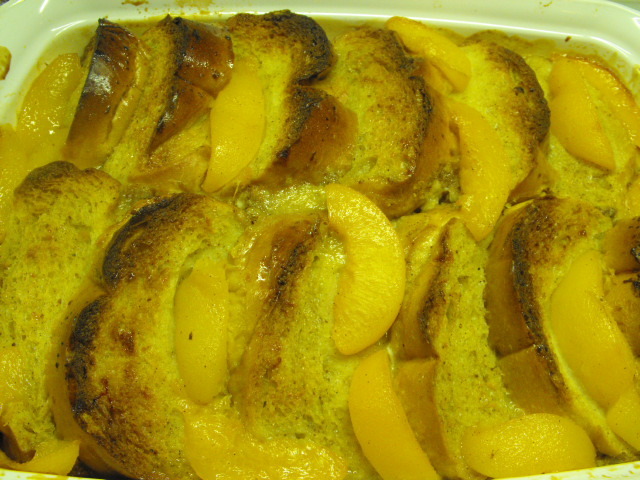 I love bread pudding, my husband loves peaches. I decided to make a marriage as yummy as ours and combine the two. Lay bread slices in two rows in the bottom of a 13x9x2″ baking dish in a scalloped fashion. 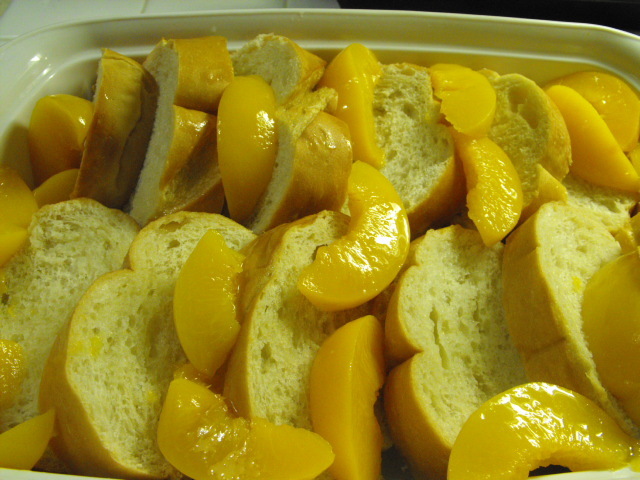 Spread peaches around on top of bread. 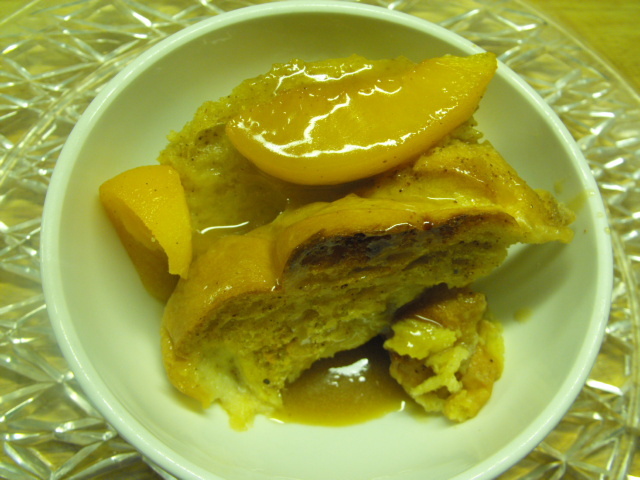 Mix together eggs, peach syrup, brown sugar, salt, cinnamon, nutmeg, and cream. 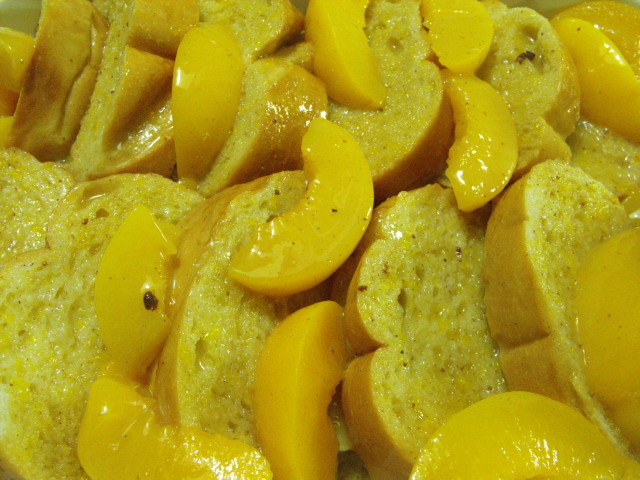 Pour over bread and peaches. Chill for 20 minutes to allow bread to soak up liquid. 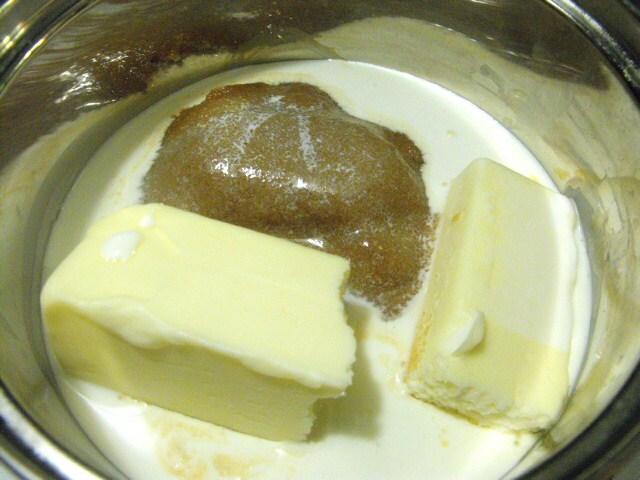 Dot with butter and bake for 1 hour. 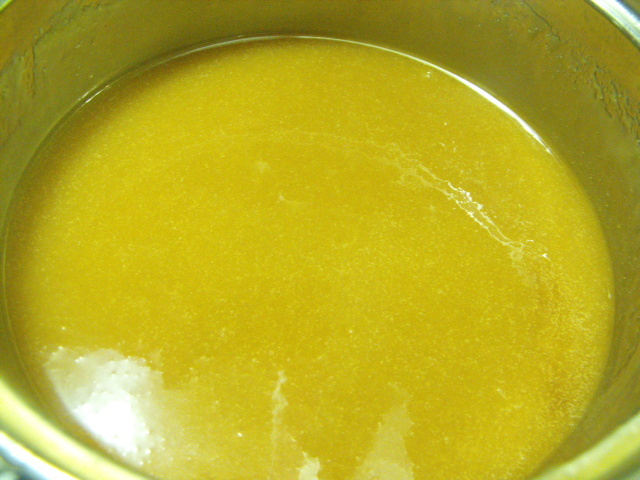 Place butter, cream, and brown sugar in a small saucepot and heat over low heat until sugar is dissolved, 10 to 15 min. Spoon over each portion of finished bread pudding or pour over entire pudding.